James has an amazing gift. He loves to smile. He also has an incredible ability to make everyone he meets smile too. But one day, whilst he's at a garden centre with his mummy, he sees an elderly lady who does not want to smile. She is sitting in the corner with her purple hat pulled down over her face. She is all alone. James has to work really hard to get her attention. Will he be able to make the old lady feel as if she is no longer just by herself? 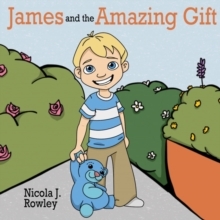 James and the Amazing Gift is an uplifting children's picture book, about how a smile can go a long way to impact the lives of others. 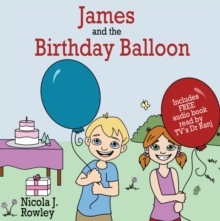 Nicola's story focuses on happiness, positivity and spreading joy. This message is highlighted through the affect that James has on one elderly lady in particular. Inspired by Judith Kerr, Julia Donaldson and David Melling, this beautifully illustrated story is for children aged between 3-7 years.